Self-managed super fund (SMSF) has become a real saving option for many Australian investors to invest in commercial properties. Investing through SMSF has been proven to tax effective highly. A property’s rental income, net the tax-deductible expenses, is charged at a 15% flat concessional tax rate before an SMSF member commences to benefit from the fund’s income stream. It is a fairly low rate when the compared with the marginal tax, which is inclusive of the Medicare Levy, which an individual incurs at a higher rate of 46.5%. 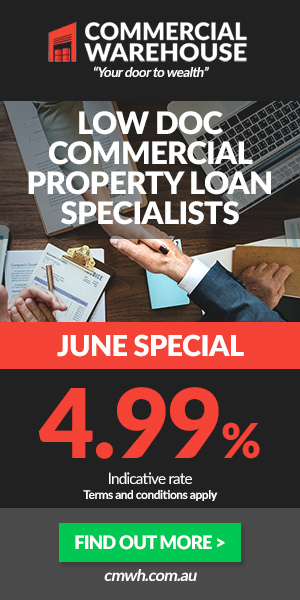 While an individual is charged 23.25% on the discount capital gain, an SMSF member will be taxed a 10% after CGT discount on capital gain from a property’s sale held for over 12 months. The capital gain and income generated by a property that an eligible SMSF possesses in support for a pension are usually deemed tax-free. When a member attains their preservation age, currently 55, the member will be eligible for SMSF income stream. Though the tax on the income stream is reduced by 15% pension offset, a member’s income stream will remain taxable until the age of 60. Later, income streams will become completely tax-free once a member attains the age of 65 or 60 and then retires. Since SMSF possess a highly favorable tax environment, the Superannuation Industry (Supervision) Act usually regulates the fund from a loss that emanates from a compliance breach. A person can lose nearly half of the fund’s superannuation benefits as penalties for non-compliance. 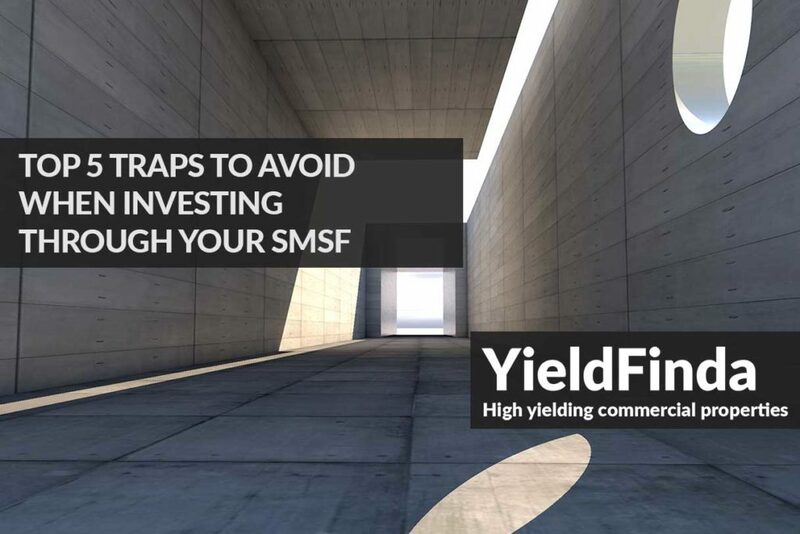 While there is plenty to gain from this strategy, there are also traps that investors should avoid when investing in a commercial property using SMSF. An SMSF prohibits the exchange of an asset, through a purchase transaction, from one member to the other as well as a member’s relatives and friends. At arm’s length, this stipulation had an exception for real business property and listed Australian shares owners. Specifically, SMSF prohibits the fund’s member or anyone associated with the member from acquiring a hotel unit or residential property. However, a real business property, which is a property that used for one or more business. Provided that the fund’s investment strategy consents for the property acquisition, your SMSF can purchase the property from you at the property’s market value. The valuation of the property documentary evidence can act as a preventative defense when an audit is being undertaken. It should be retained on files so that when challenges emanate from the tax office regarding a property’s sale value, there can be sufficient support. Since any fund member or associates are not allowed to transact with properties, an unrelated party is free to utilize the property attached I an SMSF. Members and associates are kept at arm’s length and inaccessible by law from the fund’s investment. Regardless of how infrequent you will utilize the property, you cannot let an SMSF member to utilize that commercial property. There is an exception to this clause in a business-real property. An SMSF is allowed to either lease or purchase a business premise for conducting businesses to a related entity in this category so long as there will be payment of rent at market value. There should be a written lease agreement which proves that rent to the fund will be paid at market value. A letter from someone conversant with a rental market of such commercial properties, like a real estate agent, can provide external evidence of the agreed indispensable lease rent. It is a true notion that an investor can borrow to purchase a property through SMSF. It is not always the case with the introduction of ‘instalment warrantee’ back in 2007 to enhance the ability to borrow through an SMSF. As a general rule, SMSF is not allowable to borrow unless under special arrangements known as limited recourse borrowing. However, more importantly, is that the law requires ‘Limited Recourse Borrowing Arrangement’ to carefully be structured to comply with specific prescribed requirements to borrow through SMSF. When the payment for the property is going on, a trust will remain the property’s legal owner. But, once final payment is made, the legal title of the property will be transferred to the fund to be the beneficial owner. The fund will then draw a limited recourse loan to secure the property. The fund can be ineligible to access exceptions when there are no compliance specific elements in the prescribed borrowing arrangement. As a result, a breach could occur in the situation where the specific exception accessibility on general borrowing prohibition rules is available. When a Limited Recourse Borrowing Arrangement is utilized to purchase a property through SMSF, there ought to be proper professional advice before signing any contract. Wrongfully carrying out the contract is an expensive mistake that leads to additional stamp duty charges. Even worse is that it can lead to the loss of the fund’s compliance status as well as reversion of the property’s beneficial interest back to that fund. Any upsurge in a property’s equity due to the future anticipation of capital gains cannot be used as leverage by SMSFs. As opposed to a superannuation fund working environment, an SMSF fund cannot take advantage of escalated equity attached to existing property to acquire more properties. An SMSF must pass the ‘sole purpose test’ as one of the main conditions to remain in compliance with the fund. It implies that the fund has a sole function of supporting members’ in retirement saving. The provision of holding the same property acquired through Limited Recourse Borrowing Arrangement for an SMSF restricts the productivity of the property when its value upsurges. However, to cater for the property’s general wear and tear, some property’s maintenance are allowable like repairs to revert the property to its original status. When it comes to planning for a property’s improvement, some care and caution ought to be undertaken. In case a property under SMSF is subdivided, the single property title will no longer hold as originally acquired due to the breach of the fund’s requirements. Hence, meaningful property development projects cannot be undertaken in this type of fund due to the same property restrictions requirements. An SMSF owning some shares in a company that owns a particular commercial property or possessing units in a unit trust is allowable. Instead of the fund, a company or unit trust used to borrow for investments through this ingenious structure long before SMSFs could borrow. The government brought about in-house asset rules to protect this structuring technique. The rule prevents SMSF from possessing investments in an entity that its members or associates are significantly influenced or control. Such rules are somehow deceptively complicated to apply like how an individual would consider governance or ownership role or how is significant influence over a particular entity measured. Extra caution ought to be taken if private company shares are owned by an SMSF. Besides the existing in-house asset issues, dividends that an SMSF receives from the company are likely to be treated as non- arm’s length income. As a result, there will be a higher marginal tax of 46.5% levied within the fund. Therefore adequate professional advice should be sought after for SMSF investment opportunities in closely held assets to always remain on the right track. Always tread with care when utilizing SMSF to possess properties since the stakes of breach and loss of compliance status are usually high. It is advisable to voluntary approach the tax office to inform them and seek necessary remedy. In case you don’t undertake such a duty, an auditor can present the breach report to the tax office. There are high chances that the tax office will act pragmatically so that the fund retains the compliance status.